Located at the western end of 30A, this, funky beach community offers a great mix of gulf front, gulf view & coastal style homes and neighborhoods. Developed in the 1940’s by Eric & Jean Allen; the town name is derived from Dunnellon, a small town north of Tampa that the family liked. For the golf enthusiast in your family, Santa Rosa Golf & Beach is conveniently located five minutes east. 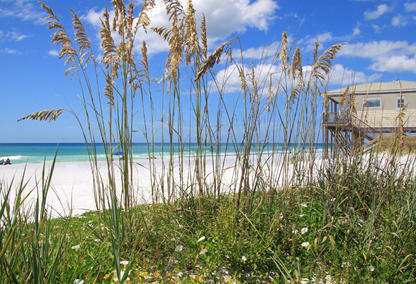 Stinky’s Fish Camp, one of 30A’s “Hot Spots” for local dining is also located in Dune Allen real estate. 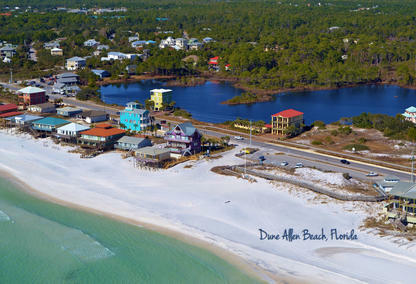 BOOKMARK YOUR DREAM HOME IN DUNE ALLEN BEACH TODAY! Three of the areas’ rare Coastal Dune Lakes; Oyster Lake; Allen Lake & Stallworth Lake are in Dune Allen. The Timpoochee Trail is a outstanding way to experience all three of these natural wonders, either on foot or on a bike! The area is also a great place to spot some of the region's indigenous wildlife, such as the red-cockaled woodpecker, brown pelican, osprey or even a great blue heron. Bordering the Dune Allen homes for sale to the west is Top Sail Hill State Park, one of the state’s most pristine coastlines with 3.2 miles of beach front, 1600+ acres of unspoiled beaches, towering sand dunes, coastal dune lakes, cypress stands and hiking trails. Stinky’s Fish Camp, one of 30A’s “Hot Spots” for dining is located in the heart of the homes for sale in Dune Allen Beach, FL. For the golf enthusiast in the family, Santa Rosa Golf & Beach is located immediately east of Dune Allen offering a challenging 18 hole course. Please contact us to learn more about the homes for sale in Dune Allen Beach, FL. 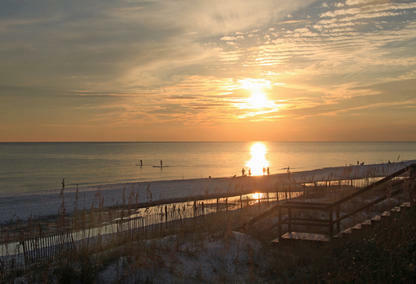 Davis Properties of Northwest Florida Inc. are dedicated to helping buyers find their own "slice of 30A" paradise.